​A marijuana component helps mitigate cocaine addiction in mice, according to a new study, lending further evidence to the notion that marijuana is an “exit” drug and could become the next big anti-addiction therapy. The discovery by researchers in China and Maryland was announced in the July 2011 issue of Nature Neuroscience magazine, reports Stephen C. Webster at The Raw Story. Cannabidiol (CBD), a medically useful component of marijuana that does not produce a “high,” effectively turns down a receptor in the brain that is stimulated by cocaine, the study found. Scientists used a synthetic version of cannabidiol, called JWH-133, to see how mice given regular doses of cocaine might respond. The found the mice dramatically reduced their intravenous cocaine intake — by up to 60 percent — after being given JWH-133. “It’s a very significant reduction,” said Zheng-Xiong Xi, the lead author of the study and a researcher at the National Institute on Drug Abuse (NIDA), reports Maia Szalavitz at Time. “It’s extremely exciting,” said Antonello Bonci, scientific director for intramural research at NIDA. After THC, CBD is the second most prevalent compound in marijuana. Researchers formerly believed that cannabidiol’s CB2 receptor wasn’t found in the brain and that therefore CBD had no psychoactive effects, but a growing body of evidence suggests otherwise. Their demonstrated success of reducing cocaine consumption could lead to new drug replacement therapies for cocaine and crack addicts, helping them detox and overcome withdrawal symptoms. Having quit cocaine in 2004 with the aid of cannabis, I can personally attest to the effectiveness of this method. Ethnographic research by Ric Curtis, chair of anthropology at John Jay College in New York, backs me up on that point. National surveys found that as crack cocaine use declined in the early 1990s, marijuana use rose — and Curtis found that many recovering crack addicts reported substituting marijuana for crack, finding it cheaper and less disruptive. Marijuana, as a recreational drug, produces less dependence and withdrawal effects than even coffee. Cocaine, on the other hand, is much more intoxicating and reinforcing, making users more likely to use the drug again, and with increasing frequency. JWH-133 is chemically related to JWH-018, which has been the subject of controversy because of its use in Spice, K2, Black Mamba and other herbal “incense” smoking blends which are supposed to produce marijuana-like highs. While JWH-133 does not produce such effects, JWH-018 and similar chemicals do, leading the Drug Enforcement Administration (DEA) to recently place them on their list of controlled substances. Unfortunately, if this policy is adopted, it would also apply to JWH-133 and effectively shut down the most promising avenue of research in drug addiction treatment. Medical Marijuana Inc announced today that as of August 1, 2011 its initial Cannabidiol (CBD) and THC Free Product lines will be available for consumers in the United States. The first lines of products are to be distributed to more than two thousand health and wellness centers throughout the United States as well as direct to consumers through the Hemp Network, a division of Medical Marijuana Inc ( http://www.thehempnetwork.com ). The products will be available in a CBD tablet, CBD capsule, and CBD-infused beverage line, all which carry the health and wellness benefits of CBD cannabis extract. For more information about the health benefits of Cannabidiol (CBD) please visit the following United States Health Department Patent # 6,630,507, titled “Cannabis as Antioxidants and Neuroprotectants” (see http://tinyurl.com/6hwwmt ). This article explains many of the benefits of Cannabis and specifically Cannabidiol (CBD). Medical Marijuana Inc is reviewing the previous offers from distributors for these products in China and Europe, negotiations are expected to conclude by August 1, 2011. Our mission is to be the world’s premier cannabis and hemp industry innovators, leveraging our team of professionals to source, evaluate, invest in and purchase value-added sustainable companies, while allowing them to keep their integrity and entrepreneurial spirit. We strive to create awareness within our industry, pay homage to the visionaries and activists of the past and present, provide the platform from which the industry can emerge into a global sustainable economy for all. Medical Marijuana Inc recognizes the vast and unequaled opportunities that exist in the rapidly expanding hemp and medical marijuana industries. The scientific recognition of cannabis has brought legalized marijuana use to the forefront of mainstream discussion, thus opening the door for safe and lucrative investment opportunities. Dr. Julius Axelrod, pictured above, conducted some of the original research which culminated in the United States government getting a patent on all cannabinoids in 2003. The United States federal government holds a “medical patent” for all cannabinoids — a patent which it has held since 2003. Let’s take a look at the rationale behind this patent, and highlight the good news it actually contains for disease prevention, medical treatment and for cannabis legalization. Here’s how it all went down in 1998. Claim #1: A method of treating diseases caused by oxidative stress, comprising administering a therapeutically effective amount of a cannabinoid to a subject who has a disease caused by oxidative stress. Claim #15: A method of treating an ischemic or neurodegenerative disease in the central nervous system of a subject, comprising administering to the subject a therapeutically effective amount of a cannabinoid. Claim #24: (A method of treating) wherein the ischemic or neurodegenerative disease is an ischemic infarct, Alzheimer’s disease, Parkinson’s disease, and human immunodeficiency virus dementia, Down’s syndrome, or heard disease. If you read my last past, “Cannabis May Help Combat Aging of the Brain,” you’ll remember I presented current (2005-2009) evidence for cannabis and neuroprotection. Well, apparently the U.S. government was way ahead of the curve on this one. Thank you, President Clinton, for filing this patent (April 29, 1999). Yo! Maybe you didn’t inhale, but you may have legalized cannabis as a medicine through a back door during your presidency! The “Assignee” on the patent is the United States of America. This means the people who are its citizens, who fund the government with their taxes, and are represented by it, and who in effect employ it to act as our agent protecting our welfare. The government works for us, and exists to serve us. We, the American people, are the ultimate owners of this patent that it holds for us. In order to produce the maximum benefit for the most people, in the shortest time, we would like our patent to produce “fast tracked” cannabis-based medicines to treat the following medical conditions. If you look at the chart below at the 10 o’clock position , “neuroprotection” is just the first benefit of this wonderful plant. We just scratched the surface of its full potential. Pharmacological actions of non-psychotropic cannabinoids (with the indication of the proposed mechanisms of action). Abbreviations: D 9 -THC, D 9 -tetrahydrocannabinol; D 8 -THC, D 8 -tetrahydrocannabinol; CBN, cannabinol; CBD, cannabidiol; D 9 -THCV, D 9 -tetrahydrocannabivarin; CBC, cannabichromene; CBG, cannabigerol; D 9 -THCA, D 9 -tetrahydrocannabinolic acid; CBDA, cannabidiolic acid; TRPV1, transient receptor potential vanilloid type 1; PPARg, peroxisome proliferator-activated receptor g; ROS, reactive oxygen species; 5-HT1A, 5-hydroxytryptamine receptor subtype 1A; FAAH, fatty acid amide hydrolase. (+), direct or indirect activation; “, increase; #, decrease. And again, thank you for standing up for the people of this country first, not corporations. Thank you so much for looking out for our interests and securing the rights to this medicine so that it may be used by us, the American people. This, mind you, is after receiving a patent specifically on the point that cannabinoids are powerful anti-oxidative medicines that fight oxidative stress diseases. 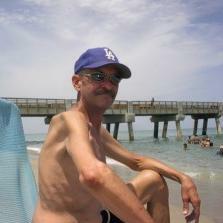 One of the main causes of cancer is oxidative stress disease. 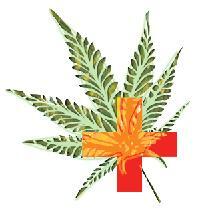 Cancer patients need unrestricted access to cannabis products. The drug is self-regulating; if you use “too much,” you fall asleep. This patent makes the case that cannabinoids should definitely be part of an integrative medical treatment plan for cancer and a multitude of other conditions as per the above statement. All cannabinoids act as potent free-radical scavengers. Interesting fact: the patent claims that THC is equal to cannabidiol as an anti-oxidant in strength. Only problem: it is “psychotoxic,” to use the patent’s terminology. Translation: it gets you high. Hydrogen peroxide‘s actions come from the fact that it oxidizes tissue. This is how hydrogen peroxide gets that bloodstain out of your white shirt; it dissolves the cells by stealing electrons from proteins. Oxidation is to human DNA as rust is to an iron bridge, and as paint protects it from oxygen, cannabinoids are the “paint” that protect your DNA from destruction. The cannabis plant originated in the mountains at high altitudes in Kurdistan. To protect itself from harmful ultraviolet radiation at in the thin air, the plant developed a chemical defense to protect itself. It evolutionarily selected for cannabinoids, antioxidants which counter this high intensity, less filtered form of sunlight radiation. Now imagine this chemical reaction happening in your brain, just ripping apart neurons which are your individual brain cells. That is what neuroinflammation is. The good news is that cannabinoids shut down this reaction in the human body. ​Who would benefit from U.S. Patent #6,630,507 B1? And radiation sickness, which I’m sure we will find in the Japanese population for years to come. 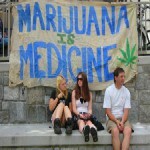 The government’s public mantra has always been that marijuana is not a medicine in any form, as in Schedule I, which means (a) the drug or other substance has a high potential for abuse; (b) it has no currently accepted medical use in treatment in the United States (Remember U.S. Patent 6,630,507 B1? ); and (c) there is a lack of accepted safety for use of the drug or other substance under medical supervision. While spending billions of dollars to promote its anti-drug meme behind the scenes, it was simultaneously trying to prove to the Patent Office that cannabinoids are powerful anti-oxidative medicines that fight oxidative stress diseases in everyone. So the crazy Catch 22 is that the U.S. government is now claiming cannabis is medicine, but is also saying it isn’t medicine and that it needs to be against the law. How can any sane person explain this cognitive dissonance — this bipolar reefer insanity on the part of the government? And does the government’s patent also hold the cure for cancer and neurodegenerative diseases, and many other oxidative stress-related disorders? The patent acknowledges that all cannabinoids are therapeutic, but claims very high doses are needed to get the effect. This is an untested negative assumption about marijuana’s ability to change consciousness that has been an ideologically driven bias against cannabis since 1937. This therapeutic dose would produce unwanted side effects if THC was used in this amount. The high from THC is described as “psychotoxic” in the patent. 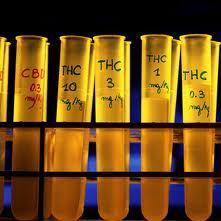 This is true if THC is not used with cannabidiol, as it is found in the whole plant. Translation: Euphoria, literally, to “bear well,” is medically recognized as a positive mental, emotional state defined as a profound sense of well-being or wellness. Lightheadedness, reduced motor coordination, and memory impairment, of course, can be bad. These last three apply to alcohol, high blood pressure meds, and many psychiatric meds in general. Question: How does one separate “anxiety-free” from “experiencing joy and happiness”? Why do we live in a Buzz-Kill Nation? I have discovered that suffering and pain and very overrated, and don’t build character. Did your last root canal surgery make you a better person? It only works if others in your peer group witness it and reward it within the group. Pain and suffering damage the immune system. Joy and happiness and giggling and laughing boost the immune response. When you laugh, your immune system laughs with you, and a laughing immune system is a good thing to have when you are fighting cancer or any serious illness. Reduction of laughter frequency is a symptom of a diseased state. Doesn’t the idea of making nature against the law seem a bit paranoid? Mirthful laughter has a positive effect on stress and natural killer cell activity. Here’s what happens when THC is used without its partner, cannabidiol. What anti-marijuana researchers do is isolate and give pure THC only to test subjects, which in large amounts can cause psychosis-like symptoms. Then they claim marijuana causes psychotic behavior. Both THC and cannabidiol are both equal in strength as antioxidants. But THC gets you high, which disqualifies it as medicine. A medicine that makes you laugh is bad? The patent made it sound like getting high — or should I say having a marijuana-induced “peak experience,” which leads in time to varying degrees of self-actualization — is a bad thing. The “high” is therapeutic in its own right, being that cannabis is an entheogen drug and not an intoxicant. It can’t be included in the intoxicant category due to the fact that it is not toxic, and has never caused a recorded death directly from its use. The change in consciousness induced by the THC/cannabidiol combo is anxiolytic, anti-depressive, and antipsychotic in nature. A cancer diagnosis with harsh chemo and radiation produces intense periods of anxiety and depression through the long course of treatment. So let me get this part straight: the serious untoward side effects of cannabis are red eyes, lightheadedness, intense bouts of uncontrollable enlightened laughter, intense hunger followed by periods of deep mystical introspection, followed by deep sound sleep. In short, happy, hungry and sleepy. Cannabis is not an intoxicant. It is an entheogenic substance. Think altruism, group bonding and cooperation, nonviolence and sharing. Think Woodstock! Cannabis is like yoga for your mind. But only different — and oh, the places you’ll go! I believe if you live long enough, through many decades, absorbing the tragedies of the human condition, you have a high probability of developing a type of “generalized life PTSD.” It’s part of the psychological profile of aging, and it can’t be helped. Life wears you down over time. Cannabis is just a milder, non-toxic form of MDMA, which is helping some of our combat vets who return home with PTSD. Many who are lucky enough to survive cancer go on to develop a “cancer PTSD” syndrome that will always be there. So what are free radicals? “Radicals (often referred to as free radicals) are atoms, molecules, or ions with unpaired electrons on an open shell configuration. Free radicals may have positive, negative, or zero charge. With some exceptions, the unpaired electrons cause radicals to be highly chemically reactive. Radicals, if allowed to run free in the body, are believed to be involved in degenerative diseases and cancers. The antioxidants give an electron to the free radical so its outer shell is complete. If not, the free radicals degrade your DNA by plucking electrons from its structure. This damages the correct code for making new proteins that cells use to rebuild; this process is called “oxidation stress,” which means your cellular DNA is under attack by highly reactive chemicals. • X-rays and all forms of radiation, even sunlight. • Chemicals in our water and air that are toxic to cells. We live in a close bio-system; anything we dump down the drain winds up in the food chain, in the water we drink, and in the air we breathe. It’s the sum total of every chemical and radiation assault against your DNA at the cellular level, inside the nucleus of your cells, that you don’t see. This damage causes mutations in cells that lead to abnormal cell growth and cancer. ​This is why cannabinoids may slow the aging process. This may be why cannabis smokers have a lower rate of lung cancer and head and neck cancer than the non-smoking population. Cannabinoids protect the cells from oxidation. Marijuana saves lives! Think of cannabis as a super free-radical-fighting vegetable. Get at least one serving of this green phytochemical per day to maintain good health! Thank you, Julius Axelrod (1912-2004), for all your hard work. 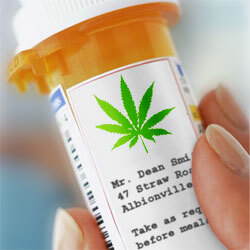 Perhaps someone will name a medicine strain of cannabis for you. advocates the legalization of marijuana and protecting the planet. ​What if we could elect a real, live drug policy reformerto Congress? A candidate who has that background — and unabashedly advocates the legalization of cannabis nationwide — is running for the U.S. House of Representatives from Washington state, and he has an excellent chance to win. Washington state Rep. Roger Goodman had in February initially announced he would run in the 8th District against Rep. Dave Reichert, a right-wing Republican, but now that Rep. Jay Inslee is vacating his seat in the House to run for Governor, Goodman will be running for that open seat in the reliably liberal 1st District where he lives, the candidate told Toke of the Town in an exclusive interview Friday afternoon. “My number one priority is planetary health,” Goodman told me. “We need to pay attention to that, and we need to foster justice in our society. “Cannabis policy reform is actually a part of both of those major issues, and my training as a lawyer, an environmentalist, a former Congressional chief of staff, a state agency director, and now as a legislator and reformer for years, qualifies me not just on cannabis reform but on qualify of life issues and on true progressive leadership,” he said. “Nationwide, about 7 or 8 billion dollars is spent just on marijuana enforcement,” he told me. “That money could certainly be better used. But I don’t stress the savings; I’m really more concerned about public safety, children and families. “Our marijuana policies allow illegal markets to deliver an unregulated product, and that’s just not safe, for patients or for anyone else who might want to use it,” Goodman said. “My primary concern is public safety, health care, and wellness. Rep. Goodman isn’t just frontin’ when he talks about drug policy reform. The man served as the executive director of the Washington State Sentencing Guidelines Commission in the late 1990s and was elected to the National Association of Sentencing Commissions. While with the state commission, he published reports on prison capacity and sentencing policy, helped increased the availability of drug treatment in prisons, and guided 14 other sentencing-related bills through the Washington Legislature. Rep. Roger Goodman shows off a stash of his drug of choice: chocolate. Goodman is very acquainted with our drug policies, and the fact that they need fixing. He next led the King County Bar Association’s Drug Policy Project, which coordinated a groundbreaking initiative to critically look at drug laws and promote cheaper, more effective, and more humane policies. In doing so, Goodman helped create a coalition of more than 20 professional and civic organizations that has spurred the Legislature to reduce sentences for drug offenders and shift funding away from incarceration and into drug treatment. A state representative since 2008, Goodman cosponsored a marijuana legalization bill in the just-completed session of the Legislature, and also supported a bill which would have explicitly legalized dispensaries in Washington state. That bill, SB 5073, passed both houses of the Legislature, but in a stunning failure of leadership, hen-hearted Gov. Christine Gregoire used her line-item veto to eviscerate the measure. “We’ve driven patients back to the streets. “We’ve now driven patients back to the streets,” Goodman said. “Do we want the drug dealer model, or do we want the safe access point model? “I do fear that patients will have problems getting access safely, because dispensaries as we now understand them will be actually prohibited, and the limit of one provider to one patient and the 15-day waiting period are going to hamper access,” he said. At the same time, Goodman is holding out hope that patients in the Seattle area, at least, can preserve some sort of safe access. “King County is going to look at various zoning ordinances that came out of this bill,” he told me. Goodman is backing a new bill, HB 2118, which he says is “from the patient’s perspective.” According to the legislator, it allows for dispensaries to get business licenses and allows localities to zone to specifically allow for the shops. “It’s a starting point,” he told me, “but it’s what the patients would like. There’s no registry, and there’s no need for a registry. If you have the authentic documentation, that’s all you need. Speaking of impaired driving, Roger Goodman is one of the few politicians I have ever heard admit he was wrong. He incurred the wrath of many marijuana activists when he sponsored a DUI marijuana bill in the Legislature; his bill would have set a THC blood limit of 8 ng/ml as the definition of being impaired by cannabis. But after hearing from a lot of constituents and checking out the available information, Goodman realized there are no definitive answers showing that 8 ng/ml or any other particular cut-off level for blood THC is necessarily indicative of impairment. “When I learned there was no good science on the subject, I actually withdrew that proposal, and I helped Colorado defeat that same marijuana DUI proposal,” Goodman told me. Which brings us to New Approach Washington, a legalization initiative announced just this week which is backed by some major names including former U.S. Attorney John McKay, Seattle City Attorney Pete Holmes and travel writer Rick Steves. The language of that measure specifies the low limit of 5 ng/ml as the cutoff point for defining cannabis impairment while driving. That level would effectively outlaw any driving, ever, for many medical marijuana patients who must use large amounts of cannabis every day, because they’d show up over the limit even when completely unimpaired. Another big concern for marijuana activists in the New Approach Washington measure’s language is the fact that while it would allow adults to buy pot at state-run stores, it still wouldn’t allow home cultivation of recreational cannabis. “I’ve heard quite a number of concerns from people who’ve called me about the nanogram limit for driving, and about the fact there’s nothing about home growing,” he told me. “I will be ready to receive it enthusiastically in the Legislature, anticipating the ability to amend it,” Goodman said. “The problem is if the Legislature does not amend it, the way it is drafted today, it would appear on the ballot in November 2012. There are some concerns, and we need to tweak it or re-draft the language quite soon. At any pivotal point in our nation’s history — and look around you, man, we’re in one of those — one well-informed politician can help tip the balance back towards sanity when it comes to drug policy, environmental policy, public safety, and health care, and Goodman said he wants to be a part of that. The presence of a man like Roger Goodman in Congress could make a major difference going forward as our nation discovers the way to a saner approach on marijuana. “We’re so close to the tipping point,” Goodman told me. “I want to offer some experienced leadership in drug policy reform; to join Jared Polis, Barney Frank and others who are making a difference on the Hill. “Getting me there will get us all one step closer to loosening the federal Controlled Substances Act, for the health, welfare and safety of the people,” Goodman said. “The number one thing I need at the moment is for people to go to goodmanforcongress.com and help elect me,” Goodman said. I have to tell you, it’s a blast to speak with a politician who seems to be more concerned about the people and the environment than about the corporations. Goodman is definitely that guy. “We need to pay attention to planetary health,” Goodman told me. “We need to foster justice in our society. “When I was a Congressional staffer, I had to be quote-unquote ‘professional,’ ” Goodman said. “Now I can speak the truth, and it’s just so refreshing — and people can sense that. The long-term administration of delta-9-THC, the primary psychoactive compound in marijuana, is associated with decreased mortality in monkeys infected with the simian immunodeficiency virus (SIV), a primate model of HIV (human immunodeficiency virus) disease, according to in vivo experimental trial data published in the June issue of the journal AIDS Research and Human Retroviruses. Investigators at the Louisiana State University Health Sciences Center assessed the impact of chronic intramuscular THC administration compared to placebo on immune and metabolic indicators of SIV disease during the initial six-month phase of infection. Clinical trials have previously documented that the short-term inhalation of cannabis does not adversely impact viral loads in HIV patients, and may even improve immune function. For more information, please contact Paul Armentano, NORML Deputy Director, at: paul@norml.org. Full text of the study, “Cannabinoid administration attenuates the progression of simian immunodeficiency virus,” is available online here:http://www.liebertonline.com/doi/pdf/10.1089/aid.2010.0218. Additional studies documenting the disease modifying potential of marijuana is available in the NORML handbook, Emerging Clinical Applications For Cannabis & Cannabinoids: Fourth Edition, available online at: http://norml.org/index.cfm?Group_ID=7002. My name is Jeffrey w Kennedy. I am disabled. I suffer from very Painful Neuropathy of the Feet & Legs, Failed Back Surgery & Depression. I live in Palm Beach County, Florida, Which is where I was arrested for trying to grow Medical Marijuana, (26 plants) they claim. It all started August 29th 2009 when our home was burglarized. I came home to find the front door open. I thought the burglar(s) may still be in our home. I am the owner of a (38) Caliber Hand Gun with a permit to carry, of which I had left at home that day. In fear of being shot with my own gun, I called the Boynton Beach Police. They arrived and cleared our home. Although the burglar(s) had fled with over $20,000.00 of cash, jewelry and electronics, the police told me to sit and not to move. They began to question me as if I had robbed my own home. They then began to question me about my Marijuana use. Rather then telling them a lie, I told them that I did use Medical Marijuana as I am disabled and suffer from very Painful Neuropathy of the Feet & Legs, and Medical Marijuana is the only thing that seems to stop that Pain. Soon after my explanation, they claim they discovered my medical garden and arrested me. The State of Florida is now charging me with Trafficking. I have hired Attorney Michael c Minardi to handle my defense. Trial has been delayed for the second time now. My Attorney on December 13th 2010 will appear for a Status Check, at that time a New Trial Date should be rescheduled for early next year in Palm Beach County, Florida court room. The Honorable Judge Miller is allowing, The Medical Necessity Defense. This Defense has never been tried in a Palm Beach County Court. We have some Experts in place, but our looking to add more. And we our in need of Public Support & Donations. If you feel you have the Compassion to assist or help tell my story or Donate to my Legal Fund, A Non-Profit Tax Deductable Account has been set up at any Bank Atlantic. The Jeffrey Kennedy Medical Necessity Defense Fund. Thank you for your time, concern & generosity. From Jeffery Kennedy – Trial Dismissed!! 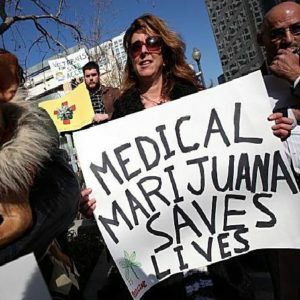 HISTORICAL MEDICAL CANNABIS TRIAL HAS BEEN DISMISSED!!!!!!!!! The State Has Decided To Dismiss All Charges On Jeffrey Kennedy ! This Could Not Have Been Done With Out The Support Of All. And For That My Wife And I Thank Everyone Involved ! I started with just a few supporters that believed in me. Those Few Supporters Have Turned Into Thousands. And From That Support, Our Voices Have Now Been Heard As One. And The State Of Florida, Now Knows That I am Not A Criminal. And For That I Am Grateful. Thank you to everybody that believed in me and in this fight for Medical Cannabis and the right to choose over Opiates. All though no laws have been changed, I think they (government) are taking notice. That Cannabis Has Many Quality Medical Benefits And The Laws Will Change Soon Every Where. BOYNTON BEACH, Fla. — 53-year-old Jeff Kennedy was prepared to spend five years in prison for growing marijuana for medical reasons. But on Friday, Kennedy showed up in court wearing a t-shirt stating, ‘I am a patient not a criminal,’ and it turns out the state agrees. The state dropped the charges at the last minute. “I’m just going to go forward and advocate for medical cannabis,” said Kennedy. Kennedy suffers from chronic pain caused by a botched back surgery. His legs burn and twitch constantly. Doctors have prescribed him a cocktail of highly addictive and dangerous pain killers. “It is slowly killing me,” said Kennedy. Kennedy says marijuana works better than his prescription meds and do not have the dangerous side affects. Kennedy’s attorney says today’s dismissal proves other patients who use medical marijuana have a proven legal defense to do so. “Anybody else who may be in similar situations, they know now or can be educated that they do have a defense if they do want to use cannabis,” said Michael Minardi, Kennedy’s lawyer. Jeff says he will continue to fight until it’s legal to use medical marijuana in the state. Just like it already is in 15 other states and the district of columbia. Richstone went on to say it was decided not to continue on with a trial because Jeff kennedy did not have a grow house to sell marijuana to other people.